When Rachel Williams Chevalier had yet to reach her teens, she was already eyeing the future and had a concept of where she might be headed. Long before she ever reached high school, her mother Linda Williams said her daughter had a simple question for mom. “She looked at me and said ‘what can I do with a microscope?’ Considering what she’s doing, I think she figured it out,” Rachel’s mother said. Enter Rachel Williams Chevalier, MD, a pediatric gastroenterologist at Children’s Mercy Hospital in Kansas City. Chevalier is using her skills as a doctor – honed at some of the highest and most prestigious educational and medical institutions in the country – to find ways to better treat the disease. The good news is she’s making progress by heading efforts of delving into new methods of treatment to the esophagus. The feel good news about it is that the seed to do the work was planted likely before that conversation as a 12-year-old here in Bridgeport. Chevalier remembers the talk with her mother in her hometown. A lot of how she’s gotten to this point goes back to her days as a superior student at Bridgeport High School. It was there the idea of researching really picked up even if her chosen career path wasn’t in view. The path never would have developed if not for her being one of the top students in recent Bridgeport High School history. A school that has produced more than a fair share of top quality graduates would likely have Williams included on any list of historic academic achievers. Saying Williams was an outstanding student wasn’t hyperbole. After leaving Bridgeport, she attended Massachusetts Institute of Technology (MIT), one of the most highly regarded schools in the country and earned a chemical and biological engineering degree in 2007. From there, she headed back to the Mountain State. 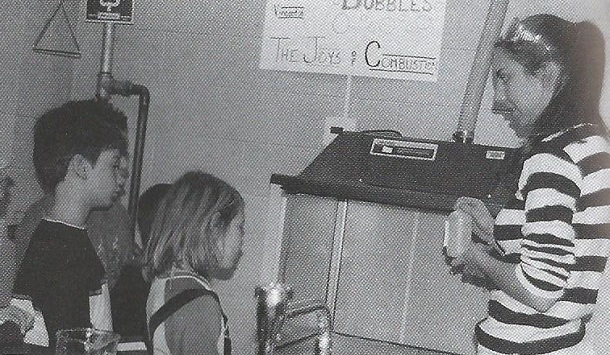 By 2011, she had earned the title “MD” after her name by graduating from medical school at West Virginia University and just to make sure the MIT thing wasn’t a fluke, she completed her residency at the Mayo Clinic in pediatrics. After that, her journey focused on her fellowship. That was handled at the University of California San Francisco Benioff Children’s Hospital. The final leg of the journey – to date – where she is officially a pediatric gastroenterologist has her at Children’s Mercy where she is not only doing research, but has a faculty job and sees patients as well. The 34-year-old is married to Kevin Chevalier. They have two boys, John, 5; and Sam, 2. So how did she learn what she needed to know and grasp the discipline to successfully wear so many hats? Again, it goes back to Bridgeport High School. Yet it was away from the classroom where Chevalier said she picked up some of the most important lessons. The multi-sport standout said those lessons have proved to be extremely valuable. “I was good at academics so where I learned the real discipline required to do the research that I’m doing I built from my high school sports,” she said. 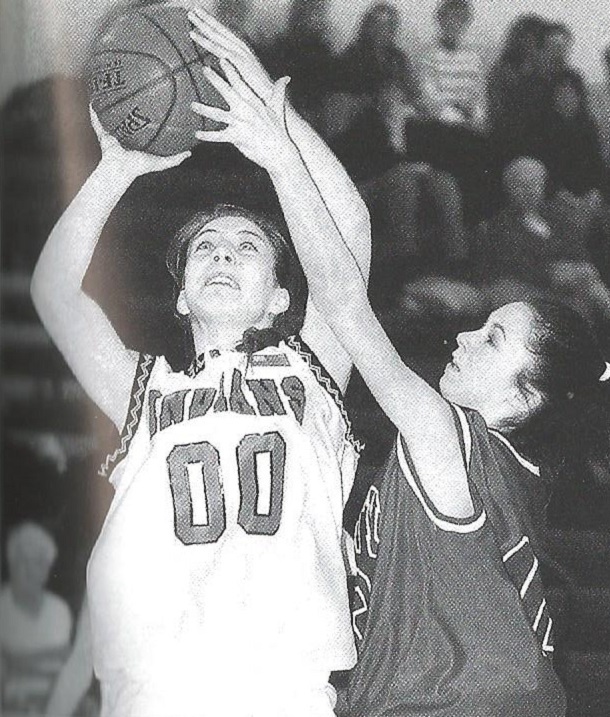 “(Girls basketball) Coach (Dave) Marshall was big about picking a goal and finding a way to get there. What she learned at BHS could help make the lives of children battling EoE better. Currently, treatment options for a disease created by an allergic response are limited and not very effective. Because of that, children suffer with reflux, food getting stuck in the throat, difficulty swallowing, nausea and vomiting and all those issue can result in poor growth and weight loss. Often, the symptoms result in children in the hospital. Chevalier said to get the medicine to work better it’s often mixed with Splenda and water to make it thicker. The hope is to make the mixture stick to the esophagus to help the medicine work or even to allow some to take the medicine easier. The other solution is to remove food groups for the diet of a child because the allergic reaction could be coming from any number of foods. The reason for the lack of good treatment options stems from the aforementioned rarity of the disease, even with cases increasing. On top of that, Chevalier said it’s on the new end of the disease spectrum. That hasn’t hampered Williams’ efforts to find the best way to get the medicine into the patient as easy as possible and treat the area impacted. “I’m trying to develop from the ground up something to target the esophagus and get the medication where the disease is located,” said Chevalier. 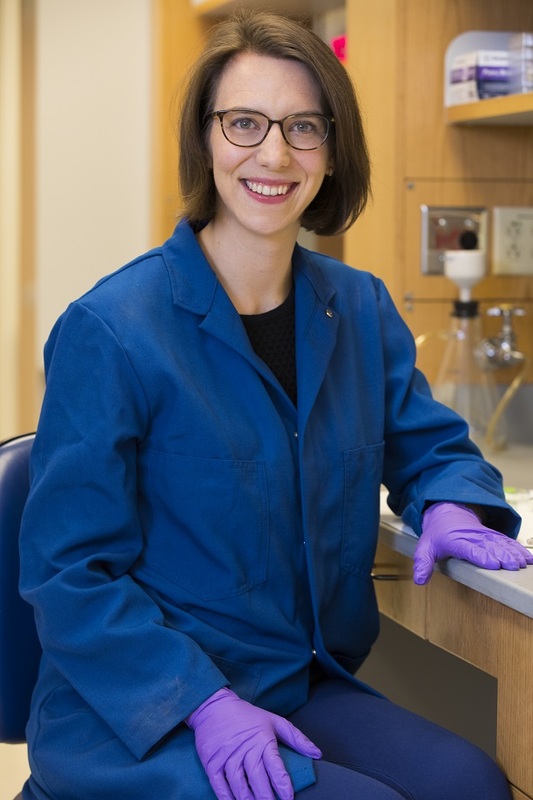 Using geometry and other methods her education has provided, Chevalier is working with known polymers that stick to the gastrointestinal tissue. Although she’s not there, she’s seeing early progress. “We are using stuff in other medications that is inherently sticky and make it into a shape to fight against the forces you have in the esophagus. The forces are pretty basic, like gravity and spit going down your throat,” she said. “Your esophagus isn’t designed to hold things, but rather to get items through as quickly as possible. Right now, the research is funded through Chevaliers startup budget and by the hospital. That could change as she has a federal grant out that has been favorably reviewed. As for Chevalier, she’ll be going home to West Virginia this summer. She said with her brothers also no longer in the Mountain State and partially because of that and her own responsibilities she doesn’t get back to Bridgeport too often. “It’s still home. It’s where this began,” she said. All with a question about a microscope that could eventually prove to be a breakthrough for children suffering worldwide. 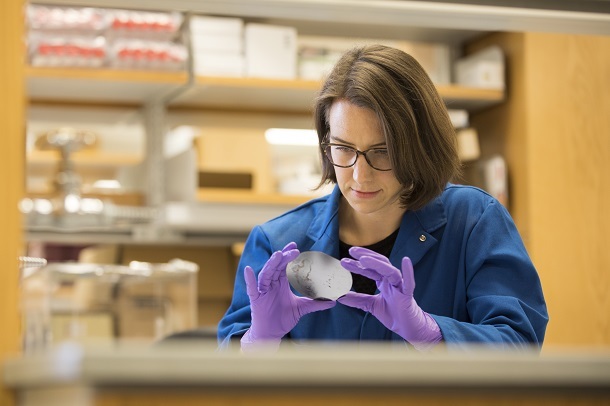 Editor's Note: Top and bottom photos of Rachel Williams Chevalier show her in her research setting at Children's Mercy Kansas City. Those photos are courtesy of Children's Mercy. 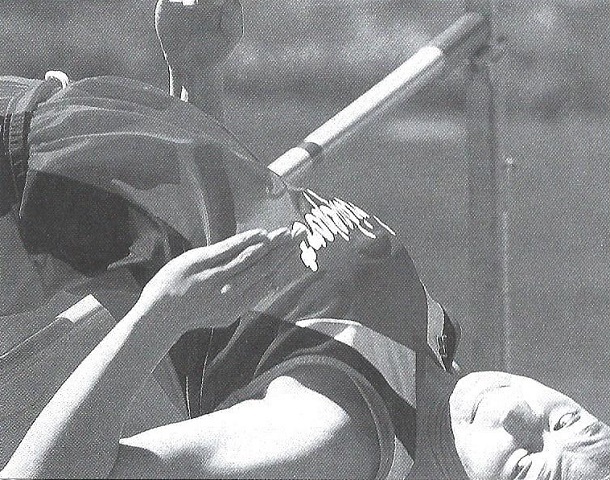 The second through fourth photos are of Chevalier during her time as a student at Bridgeport High School including clearing 5 feet in the high jump, working with students during BHS's annual Chemistry Day and powering up for a basket for Dave Marshall's Indians. The pictures are from the Ki-Cu-Wa Yearbook and are courtesy of the BHS Journalism Department. The fifth picture is of Chevalier with her husband and children and is courtesy of Rachel Chevalier.